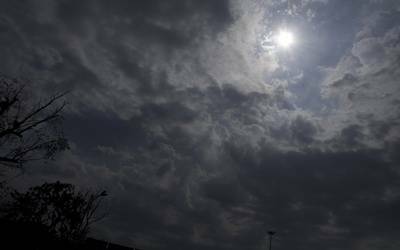 Srinagar, Nov 22 (IANS) The Met forecast rain and snow till Friday in Jammu and Kashmir as an overcast sky helped marginal improvement in night temperatures on Thursday. "Rain in the plains and snow in the higher reaches is likely to occur during the next 24 hours," a MET Department official said. The minimum temperature was 1.8 in Srinagar while it was minus 3 in both Pahalgam and Gulmarg. Kargil was at minus 7.8 degrees Celsius — the coldest, f ollowed by Leh at minus 6.4, the Met said. Jammu city recorded 11.1, Katra 10.1, Batote 5.6, Bannihal 2.2 and Bhaderwah 3.2 degrees Celsius.